GEORGE III Silver Serving Spade. LONDON 1800. 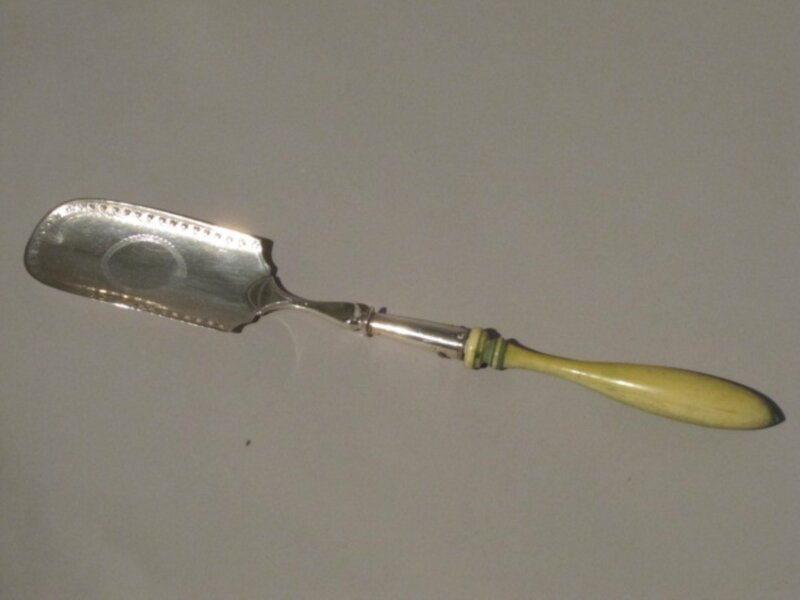 A George III Silver serving spade. By GEORGE SMITH & WILLIAM HAYTER, LONDON 1800. The rounded oblong spade with bright cut border decoration and central void oval. Engraved script initials on the reverse, and with a green stained, turned ivory handle.